Vancouver, B.C. — The Cement Association of Canada (CAC) expressed surprise at the announcement by the BC government that it would bypass the ongoing 2020 National Building Code of Canada (NBCC) processes and allow municipalities to issue building permits for encapsulated mass timber construction (EMTC) up to 12 stories. The Building Code review process is not yet complete. 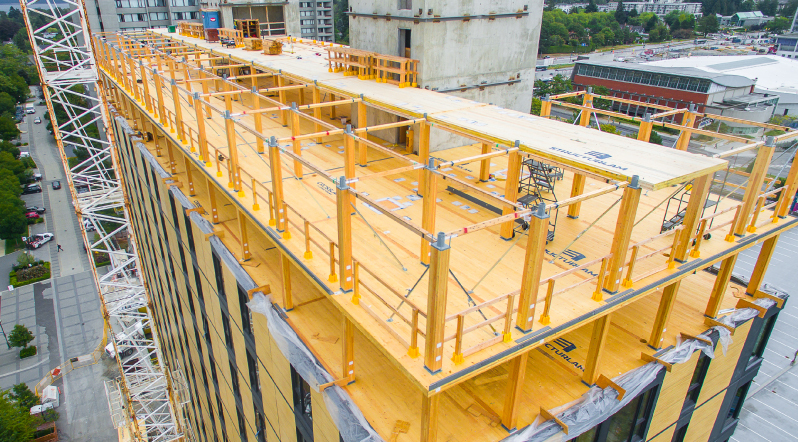 Of greatest concern, especially in the context of high seismic zones in BC, is that there are, as of yet, no approved seismic design specifications for 12-story cross-laminated timber buildings in the 2020 NBCC, the CAC said. These discussions are currently ongoing and recommendations will not be approved until later this year. On behalf of CAC members, McSweeney is calling on the Ministry of Municipal Affairs and Housing to urgently meet with all members of the building materials industry and to put an immediate pause on any regulations for 12-story encapsulated mass timber buildings which, at this time, bypass the work of the 2020 National Building Code Seismic Committee whose deliberations are currently ongoing with no recommendations finalized.